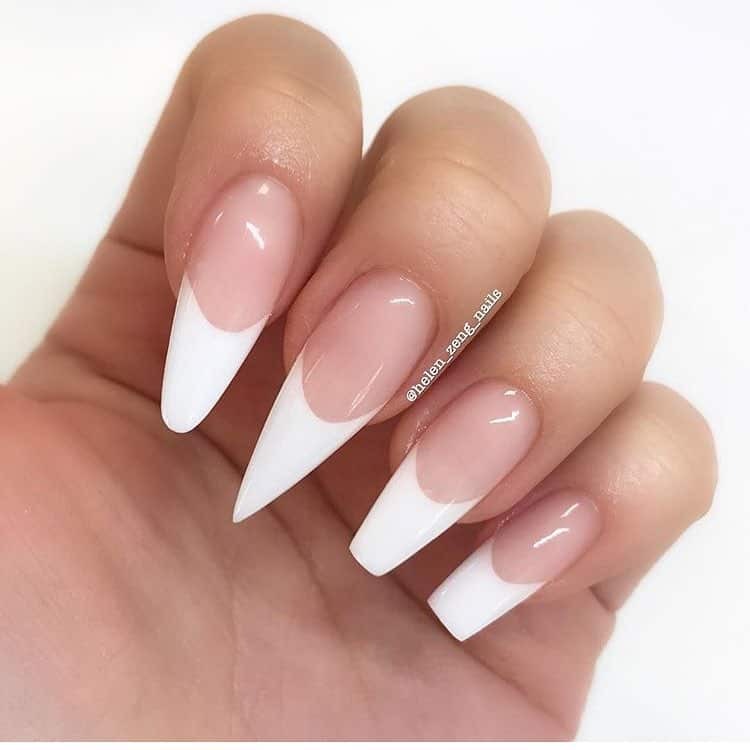 Acrylic nails are great to hide your broken nails and even to protect them. 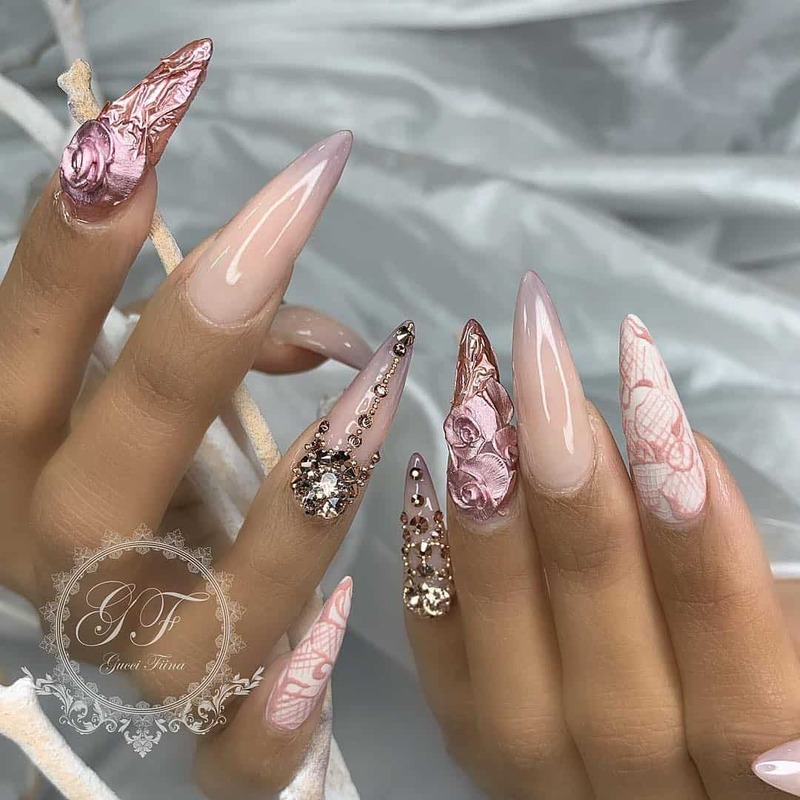 Not only these nails are great to protect your original nails but can also offer you some of the most beautiful designs to flaunt. 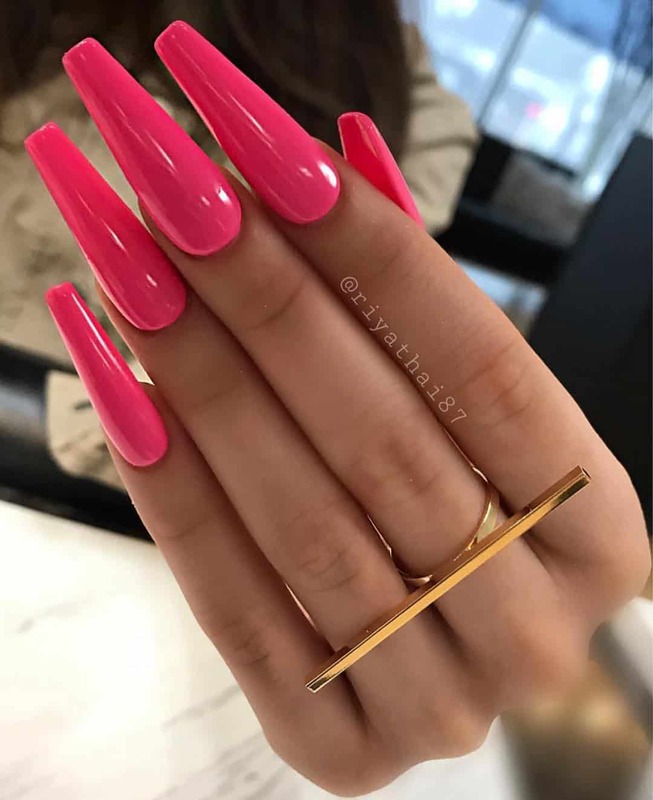 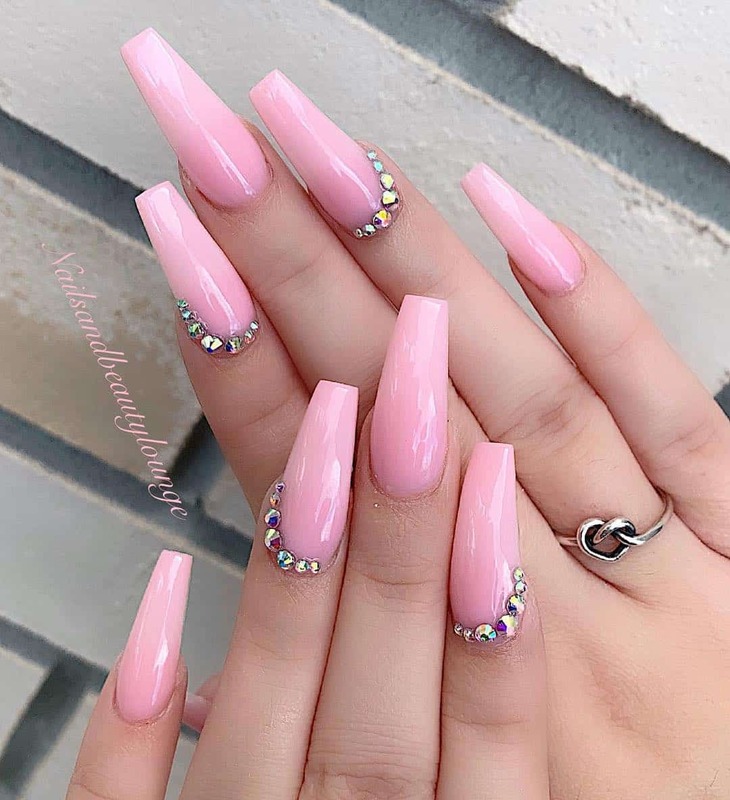 If you are a girly personality and are in love with cute options, pink acrylic nail designs are the right ones that you can go for. 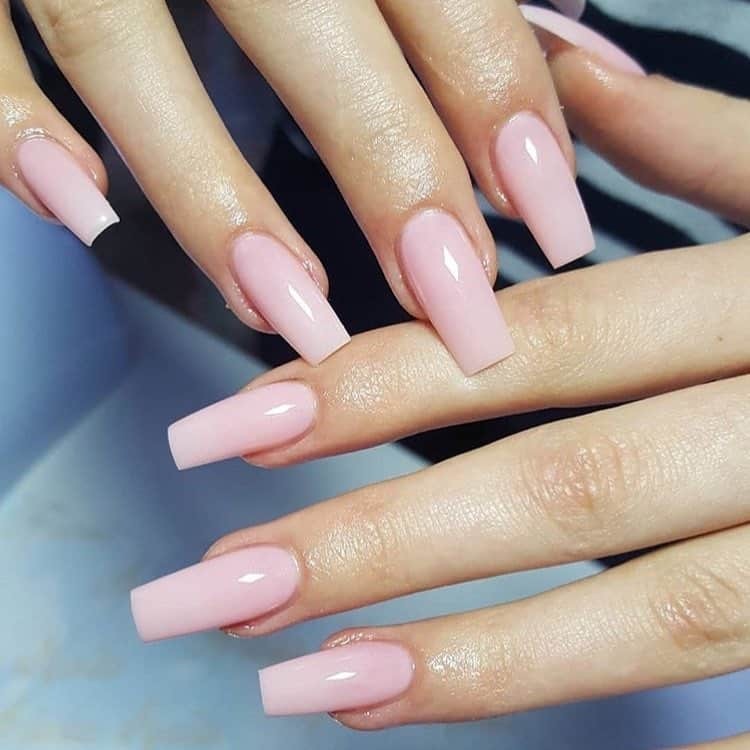 Here are some of the most amazing pink options that you can surely look forward to have. 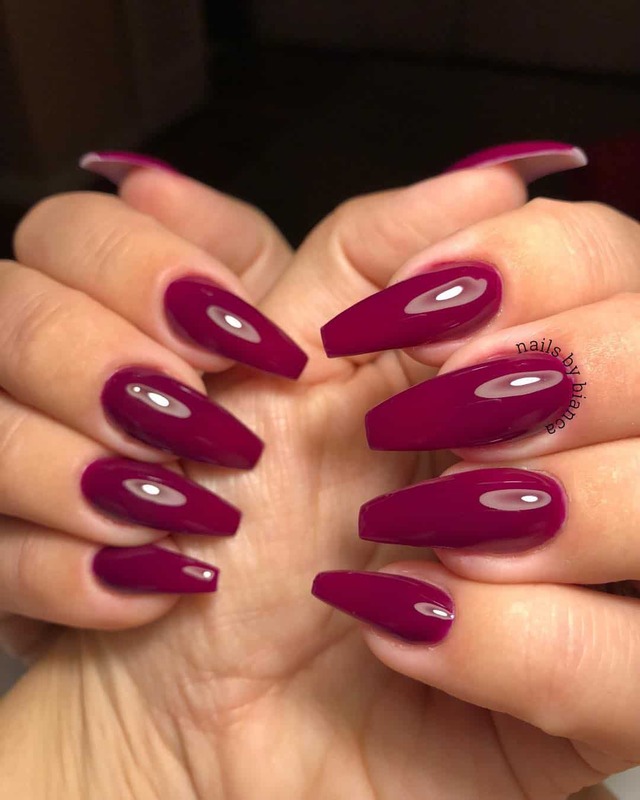 If you are someone who does not have a habit of changing your nail shades every now and then, having this particular option can be the best one for you. 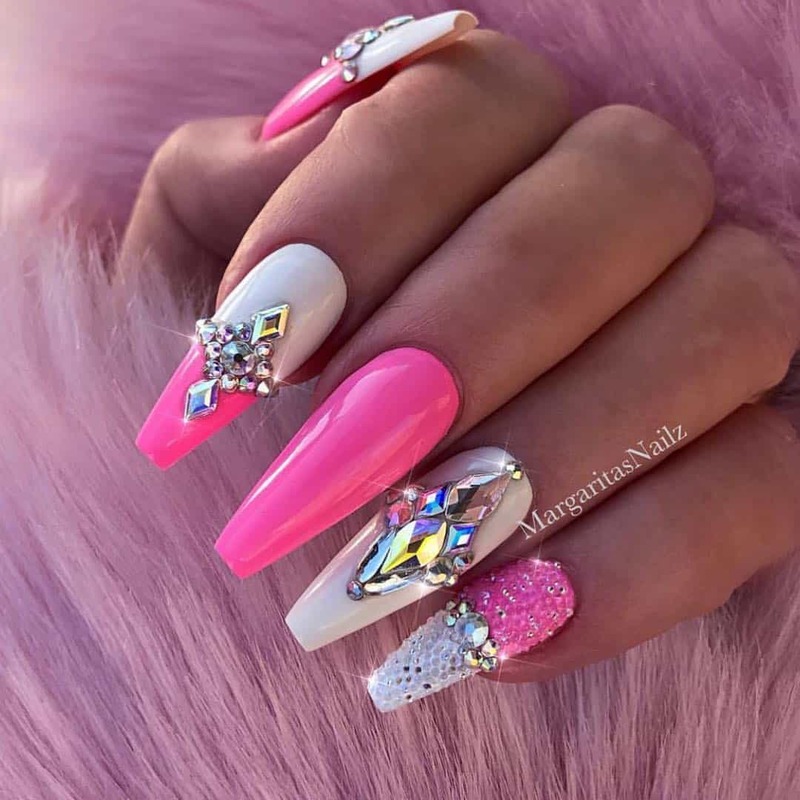 The light shade of pink can make you a worth in all types of occasions such as parties or even professionally. 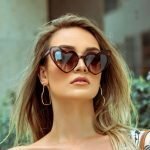 Also, it has the ability to match up with all types of dresses that you are wearing. 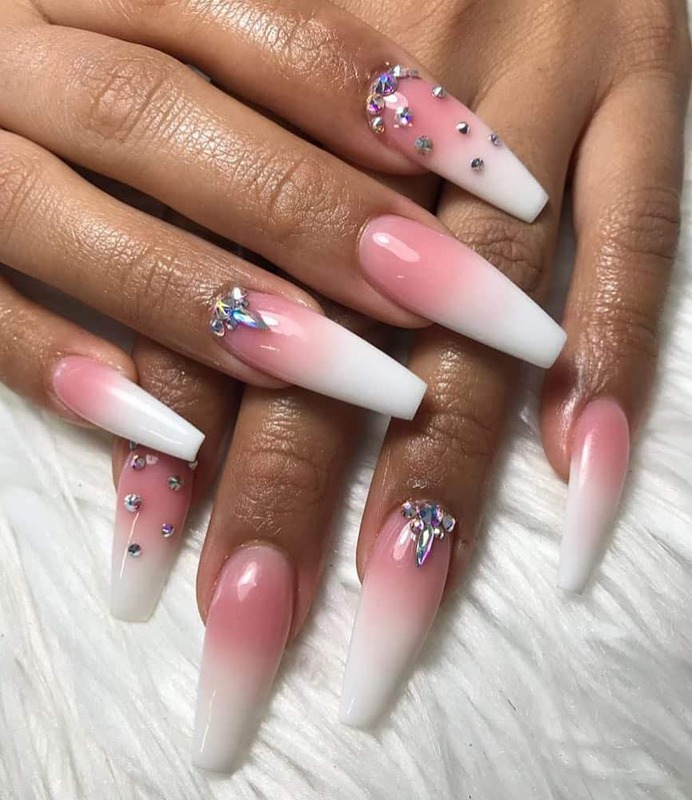 Even when you are not very much into nail paints, you can have these light pink acrylic nails just to add protection to your fragile nails. 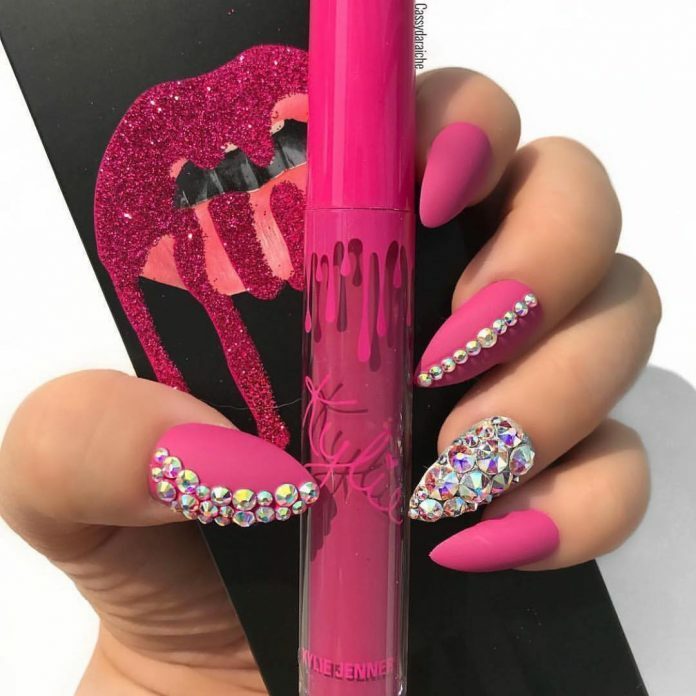 If you are much into very jazzy colors, you can surely experiment with some rhinestones on your light pink shade. 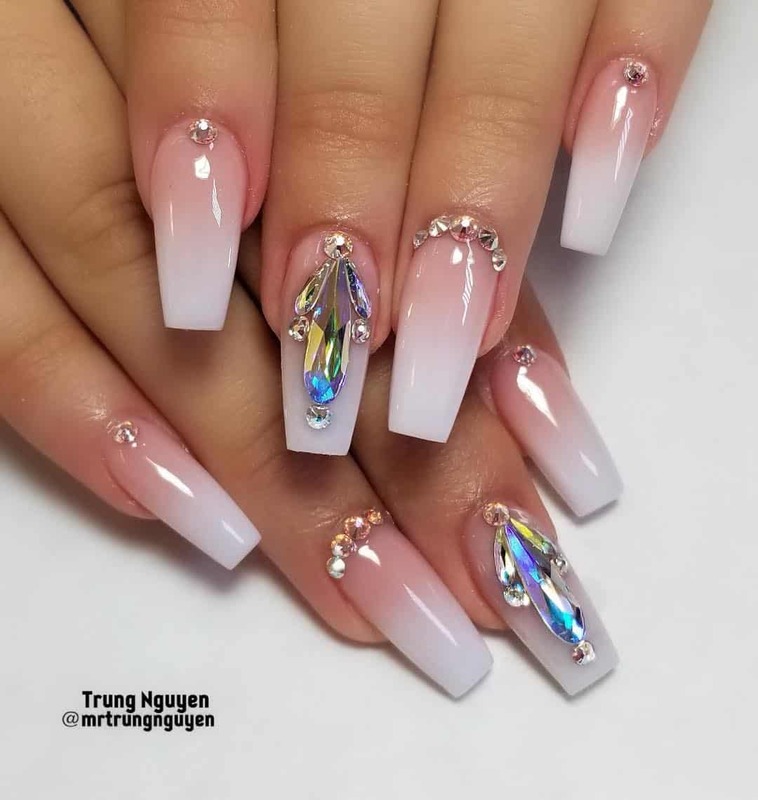 Acrylic offers a great base for you to try out different nail arts and designs. 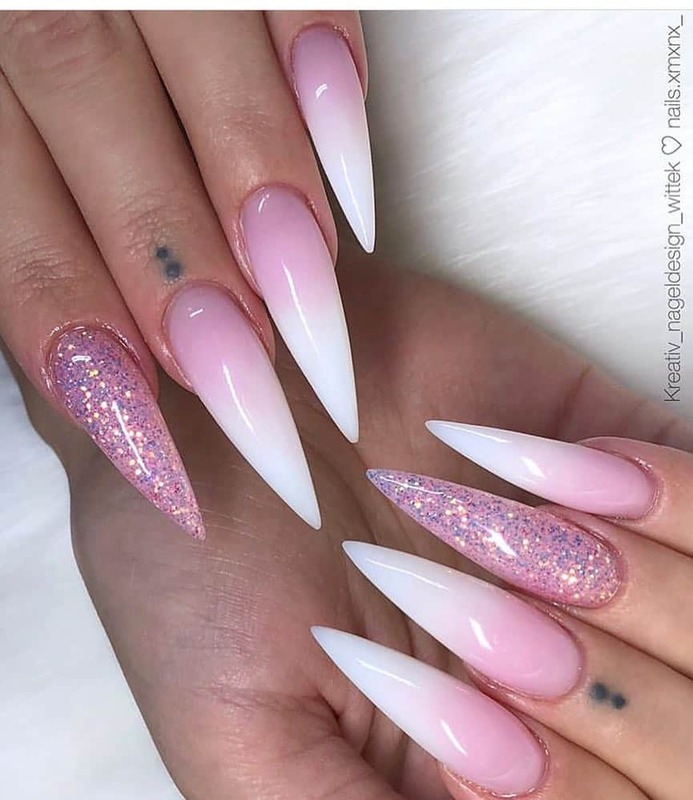 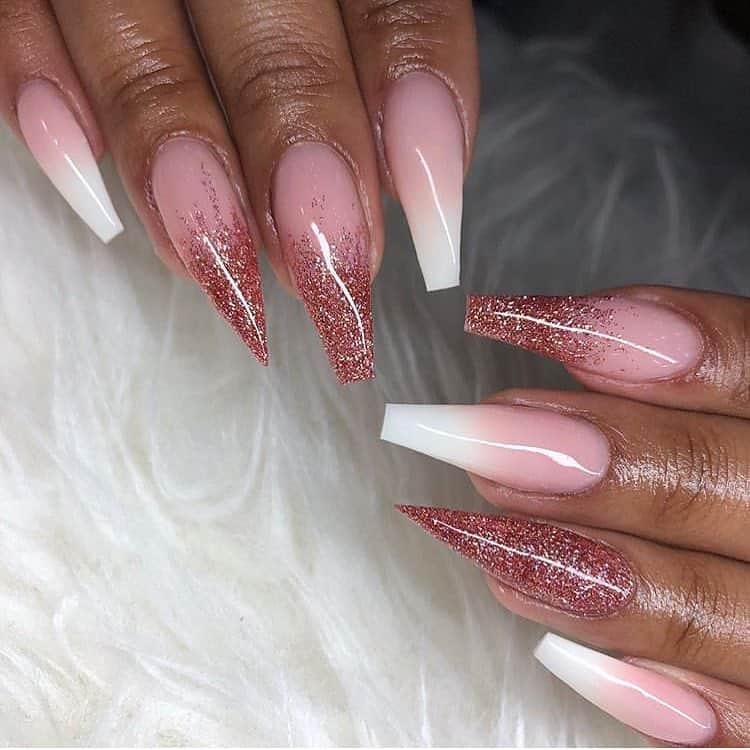 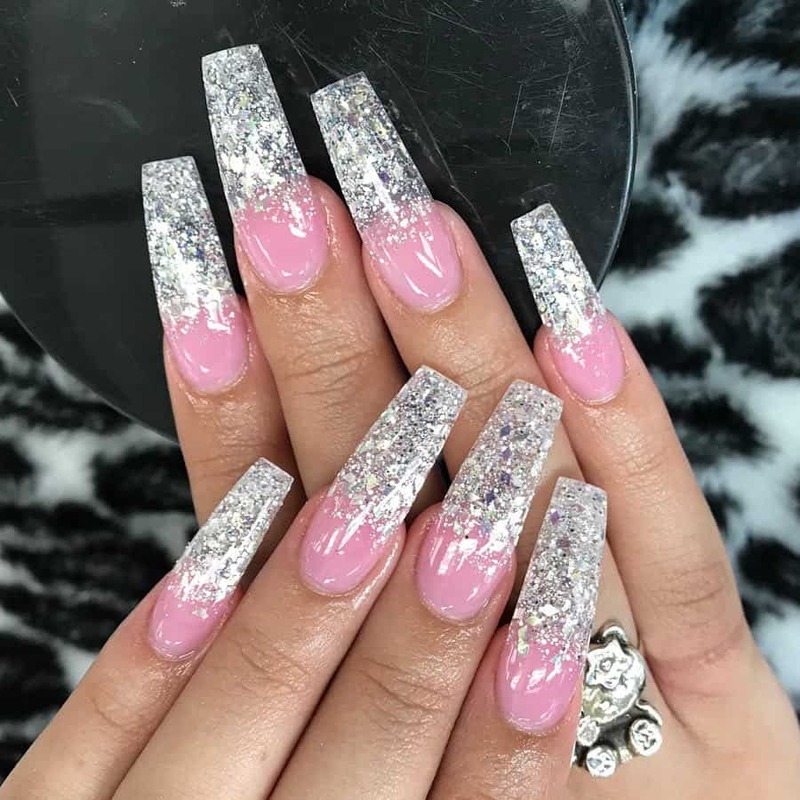 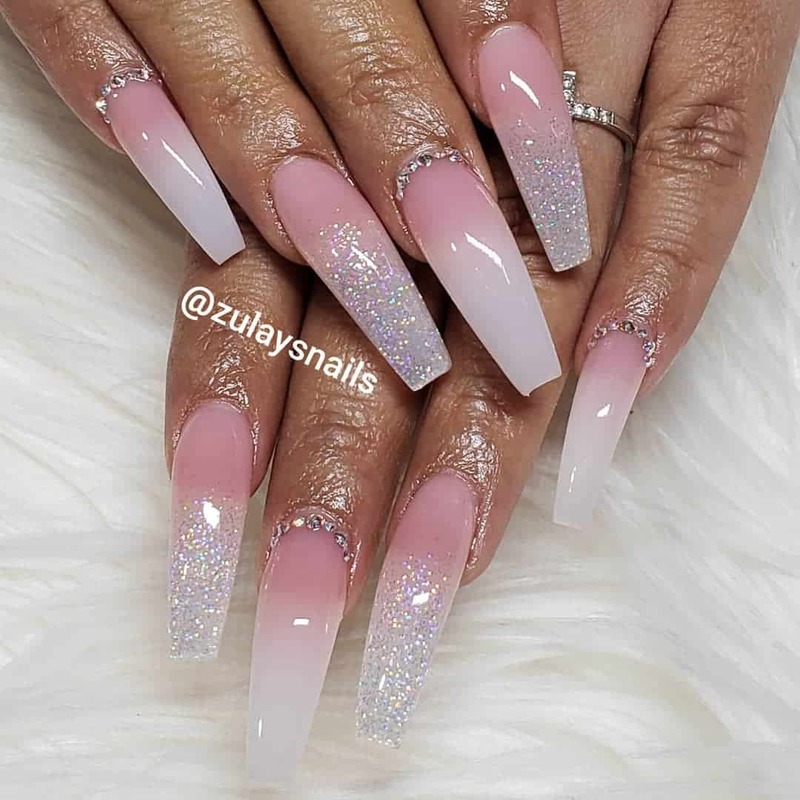 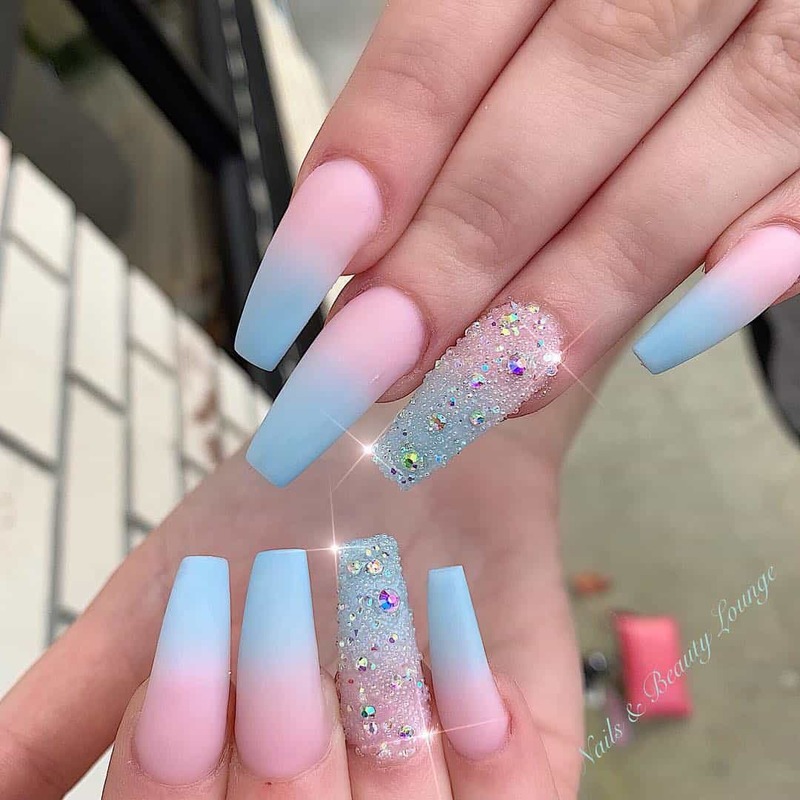 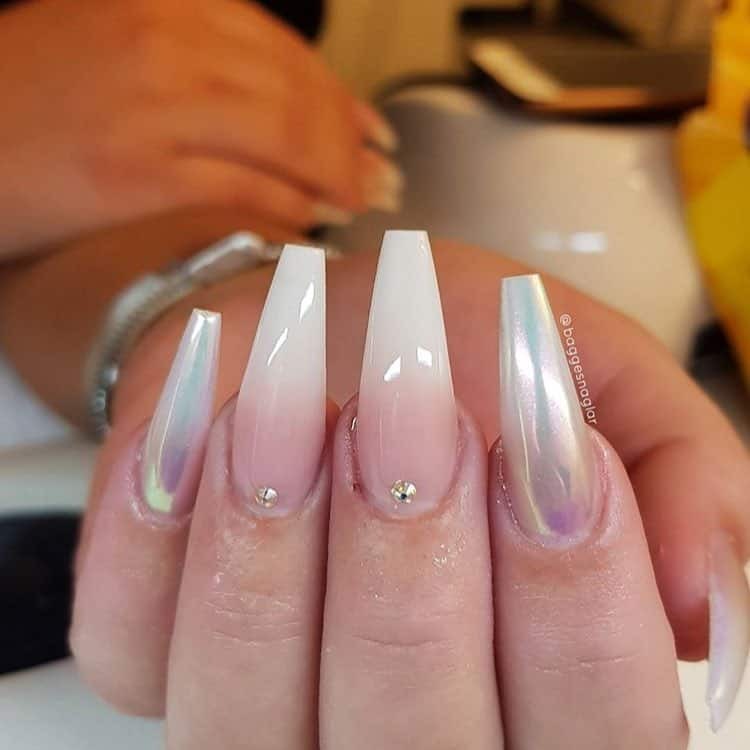 You can make use of shimmers and different colored rhinestones to adorn your light pink acrylic nails and be the attention seeker in any party. 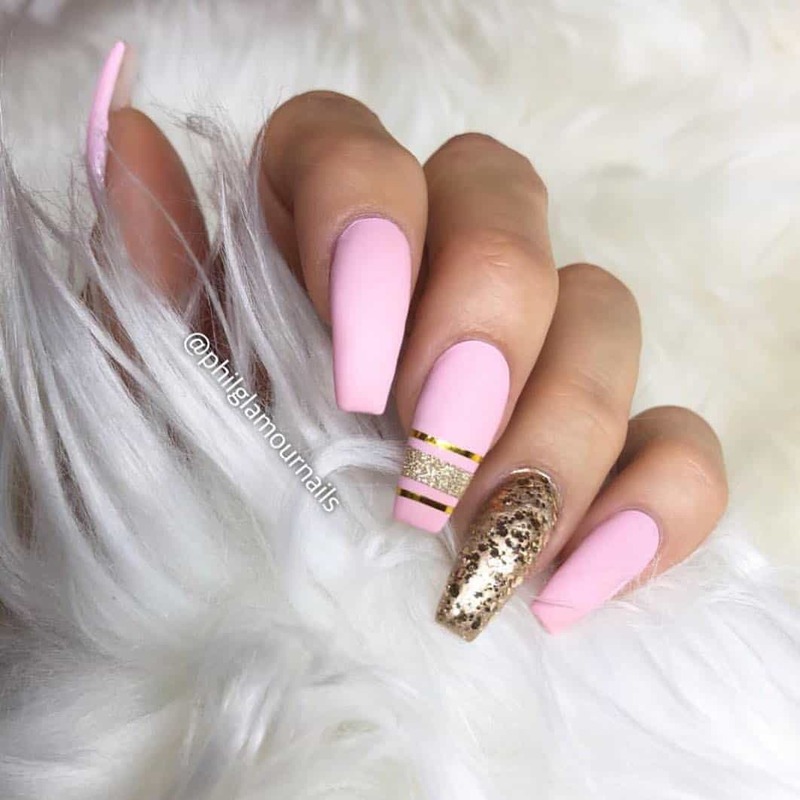 The pink shade, whether glossy or matte, suits best with white color. 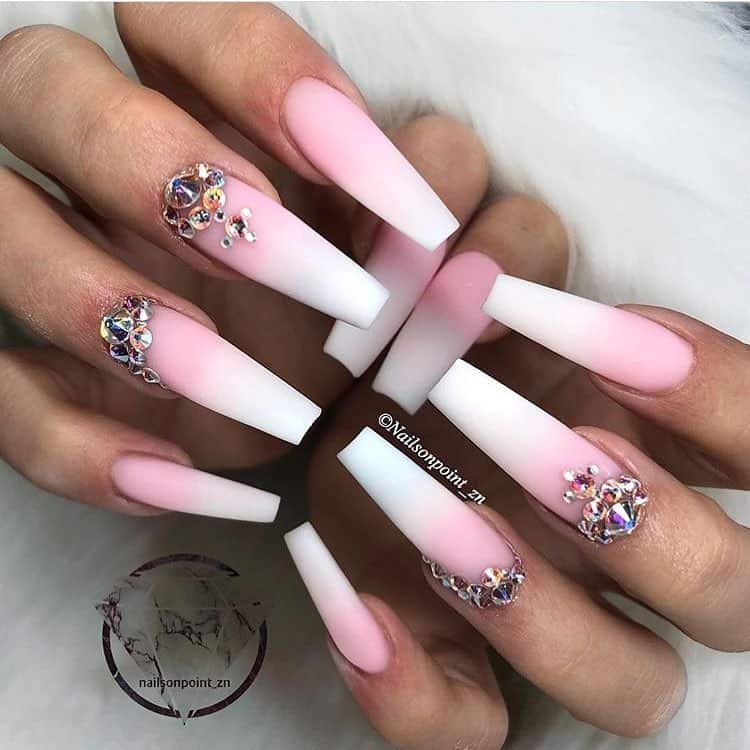 Try out different nail arts on your acrylic and add up more white on it to be absolutely ready to dazzle up in a party or any of your special occasions. 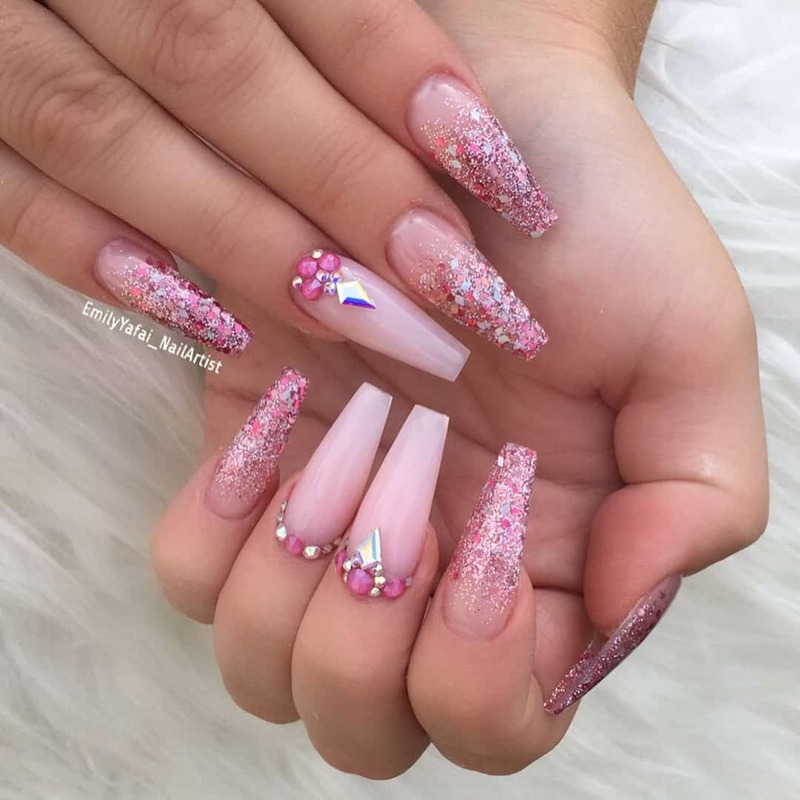 Glitters work great with pink shade. 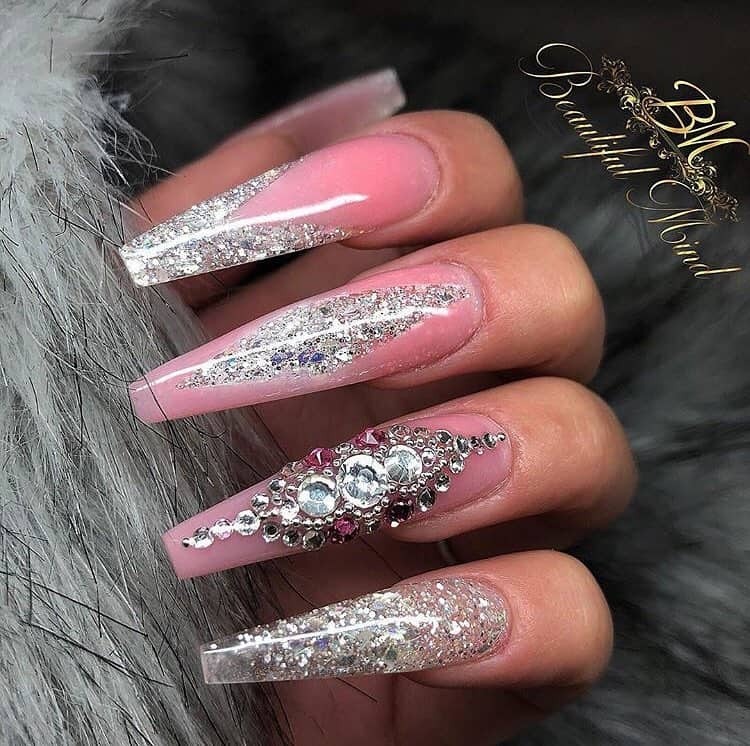 You can try a wide range of nail arts and designs on the acrylic nails such as contrasting glitters on your nail polish such as gold or silver. 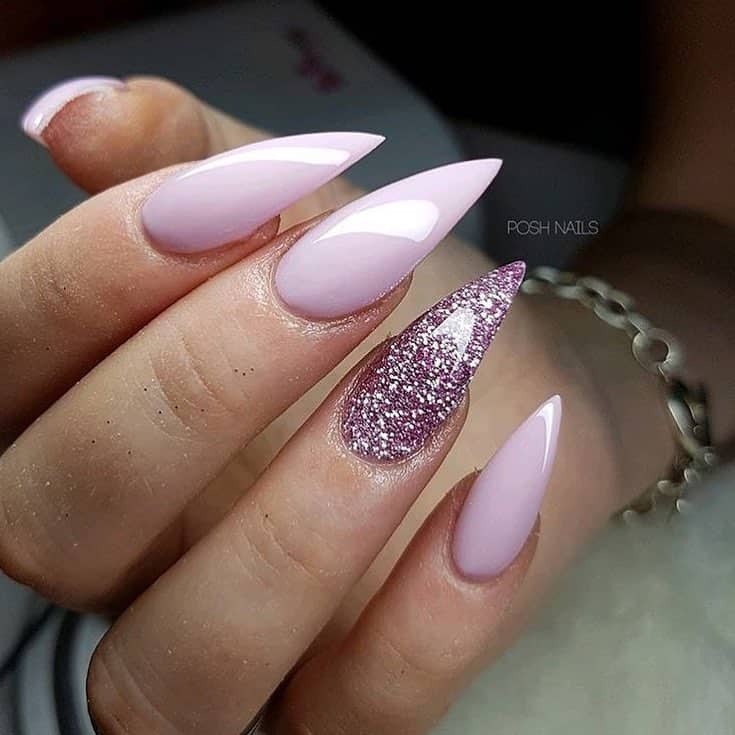 You can even try out applying the glitters on the edges of your nails with the base of light pink shade. 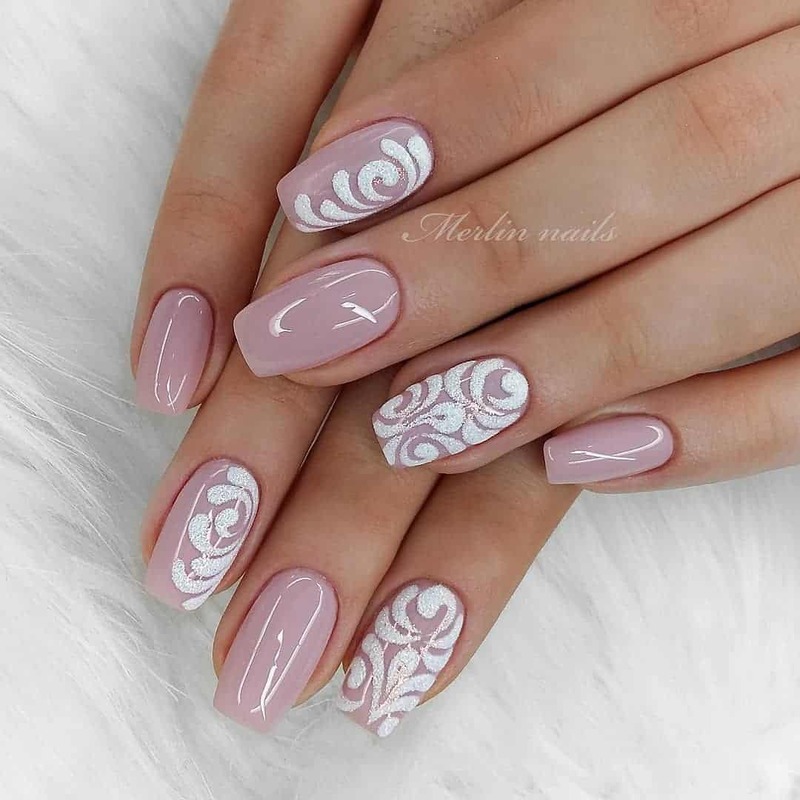 Lace arts are something that are cute and can add up more cuteness to the pink acrylic nails. 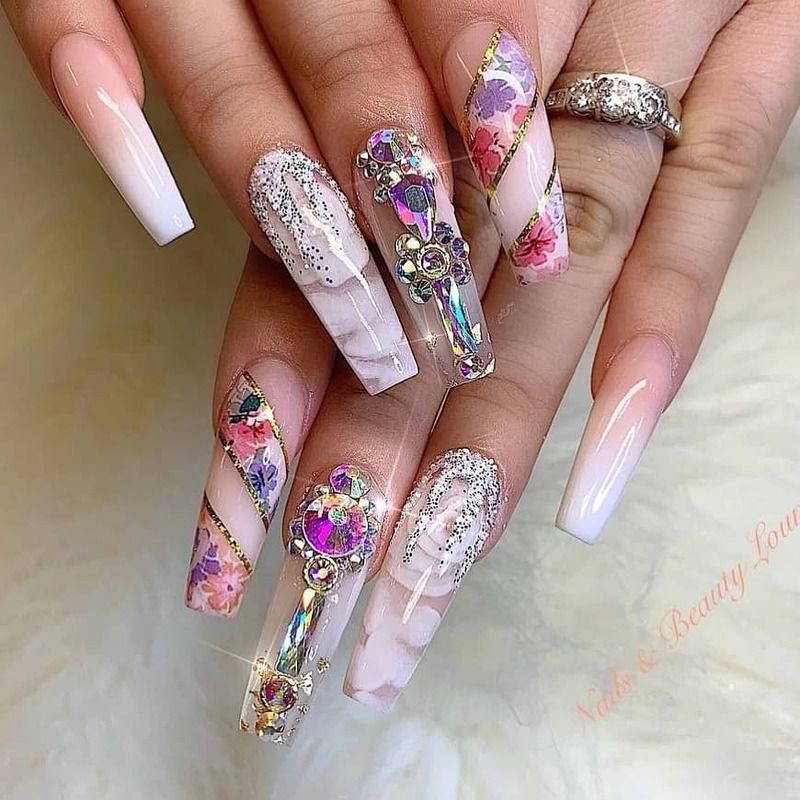 To beautify the lace art even more, you can add up glitters and rhinestones to the accent nails or ca create your own designs too inspired by the various ideas pursued from the internet. 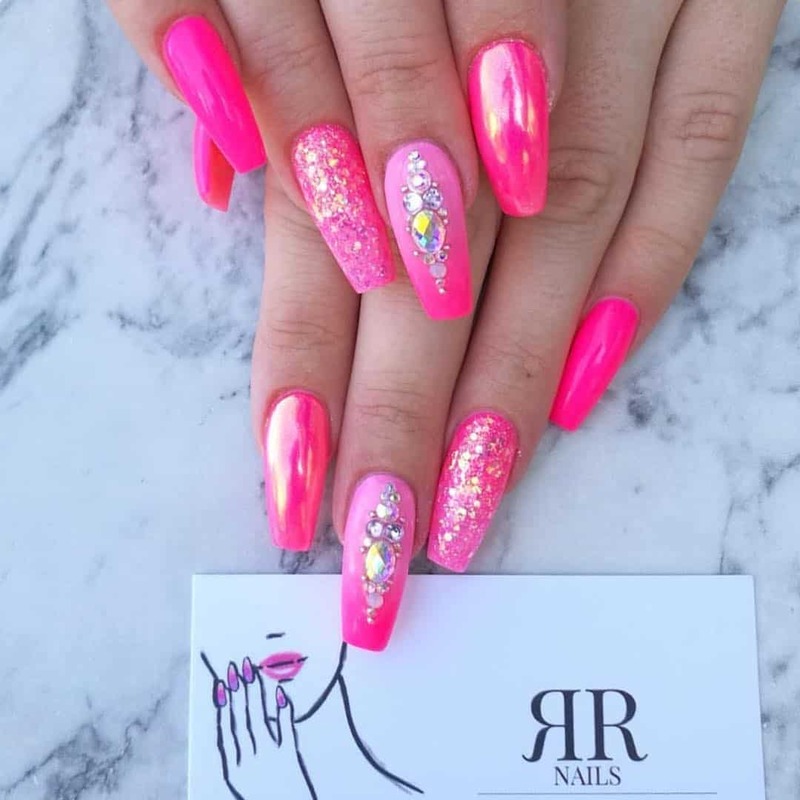 If you are bold enough to carry the hot pink shade, you can have the most elegant and dramatic designs on your nails. 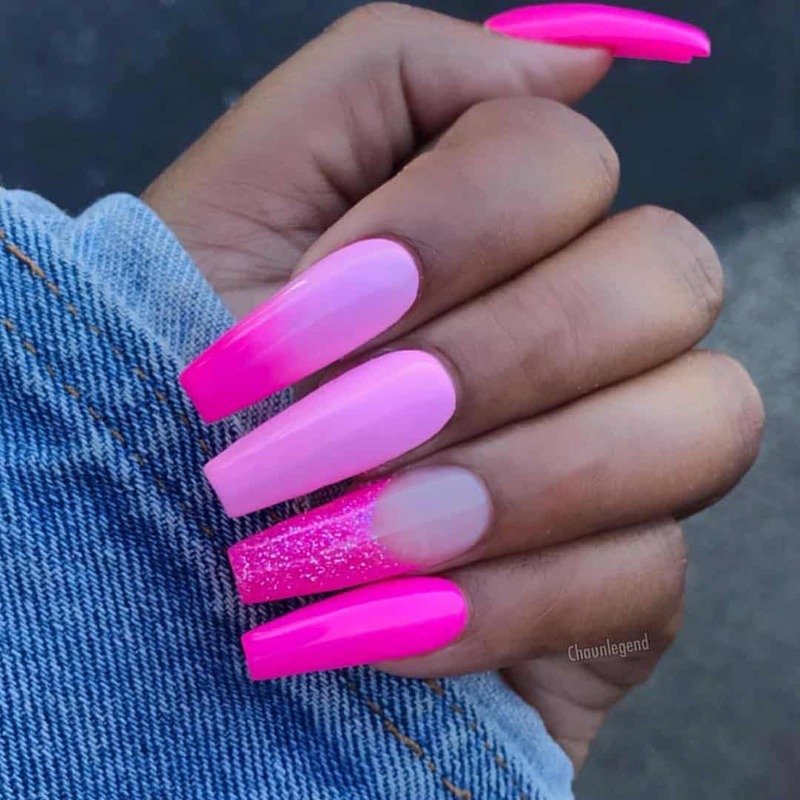 Try out the basic hot pink acrylic nails and create magic. 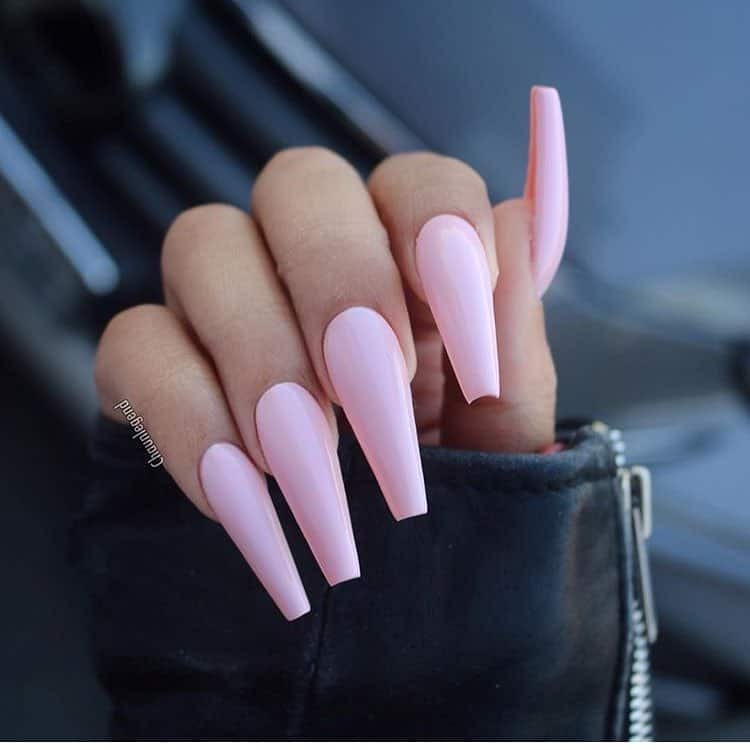 Pink already makes you feminine and girlish. 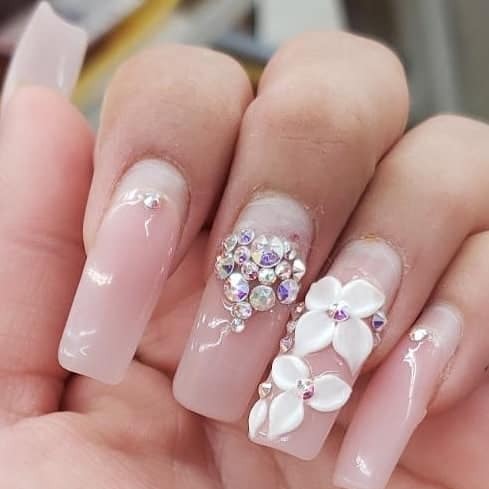 You can make use of design ideas such as flowers, stampings, and glitters and so on to make your hands look beautiful. 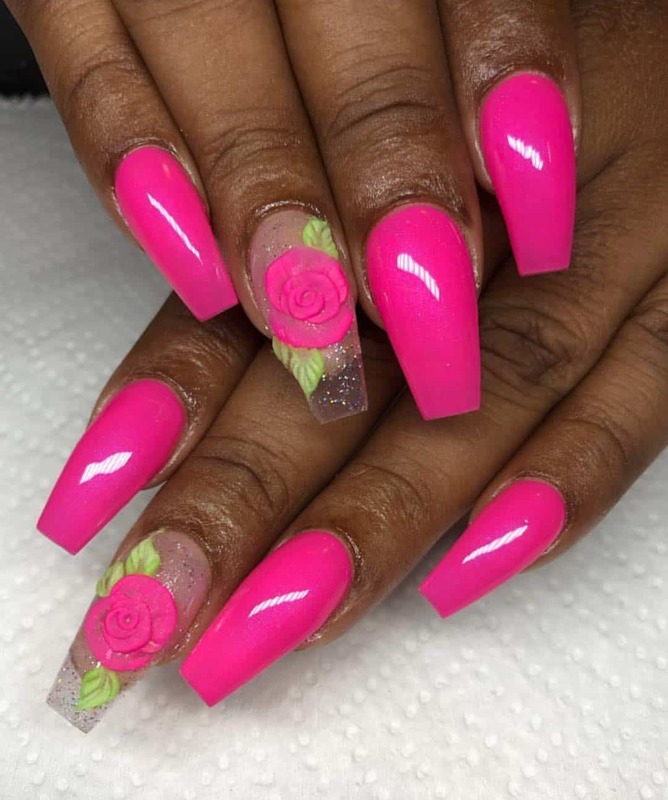 You can even try out different nail arts such as miniature drawings on the acrylic nails to create some great designs. 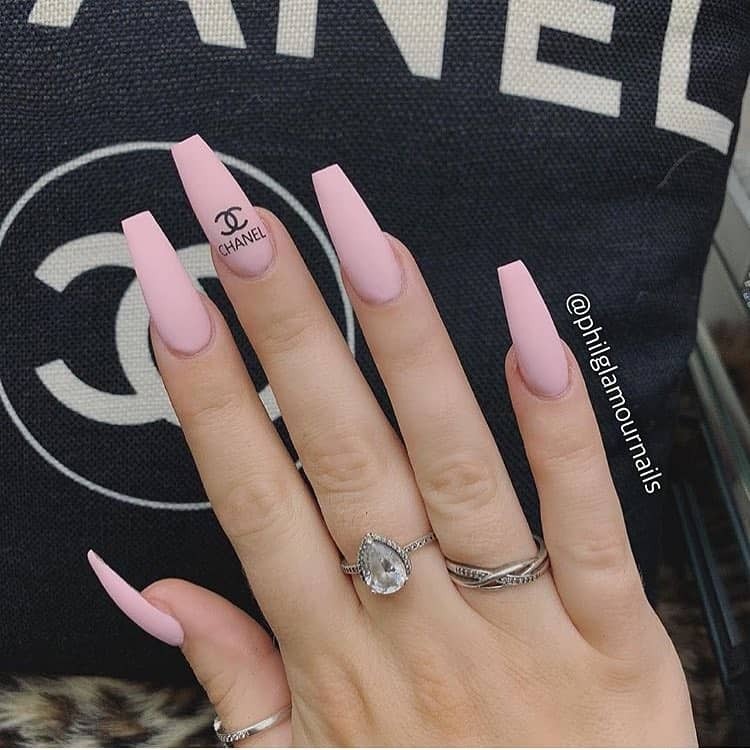 If you are not in favor of different nail shades, pink can always come to your rescue. 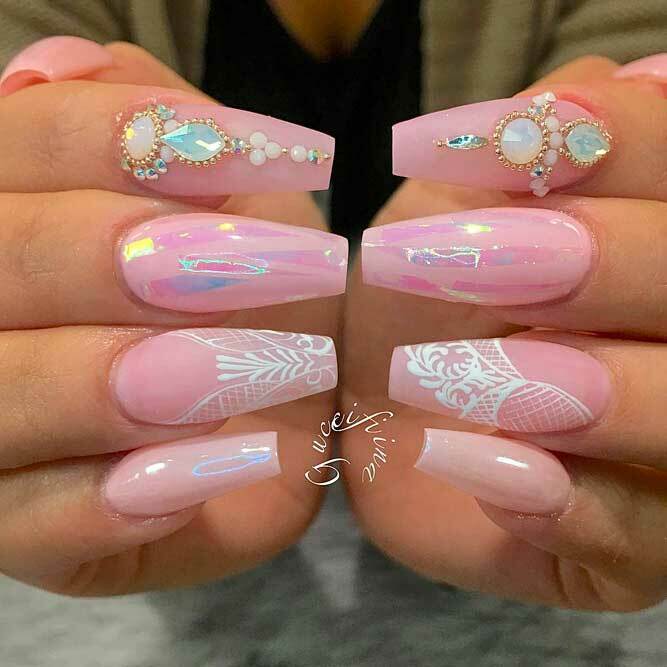 Just try out these amazing designs to add up more glamour to your basic pink acrylic nails.